A representative from the agency said Olson had recurring differences with founder John Schnatter, who resigned as the company's chairman on Wednesday after his use of the n-word on a conference call became public. LOUISVILLE, KY: Olson Engage, Papa John’s PR AOR, has ended its relationship with the pizza chain after inappropriate comments its CEO made on a conference call in May became public this week. Papa John’s founder and public face John Schnatter reportedly used the n-word on a call during a discussion about how to avoid corporate crises, according to Forbes. "Yesterday afternoon, we notified Papa John’s that we are resigning their business," a representative from Olson Engage said, via email. The agency was hired to help the brand, franchisees, and employees recover from recent controversies and connect with consumers. "On the consumer front, we did precisely that through several programs that delivered very positive results," said the agency representative. "But we had significant recurring differences with their founder regarding the best way to address the controversies and restore and advance the brand’s corporate reputation for the good of their workforce and franchisees." Olson Engage was named Papa John’s PR AOR in February, following a competitive review. 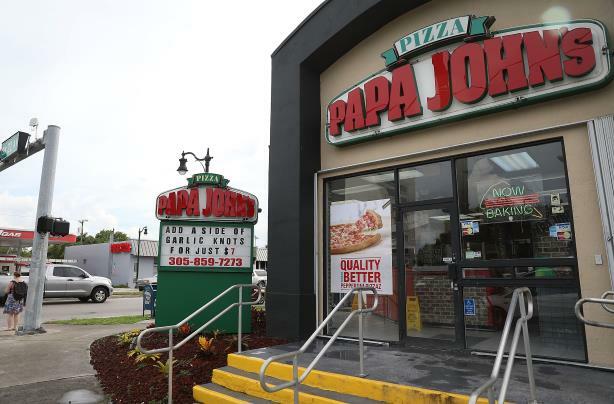 The firm was charged with protecting and elevating the Papa John’s brand, as well as promoting the company’s "continuing e-commerce evolution," according to a statement. The incumbent on the account was Edelman. Papa John’s creative AOR Laundry Service also parted ways with the company after comments from the conference call became public. Laundry Service had been working with Papa John’s since October. The conference call reportedly took place in May, and was arranged between Papa John’s executives and Laundry Service. The purpose of the call was to prevent future PR goof-ups, according to Forbes. Schnatter acknowledged the reported comments were accurate on Tuesday and apologized. A representative from Olson said no agency staffers were on the call. "To be clear, none of our people attended the meeting reported in Wednesday’s Forbes article, and no one at Papa John’s ever used racially charged language in front of any of our team members," an agency representative said. "If they had, we would have addressed the issue immediately and directly. Our day-to-day clients were dedicated professionals and we wish them success moving forward." On Wednesday, Schnatter apologized for his "hurtful language" and said, "racism has no place in our society." The brand also said in a statement that it condemns racism and any insensitive language, no matter the situation or setting. Later on Wednesday, Schnatter resigned as Papa John’s chairman, around the time Major League Baseball said it was indefinitely suspending its Papa Slam promotion, which began in 2016. He also resigned from the University of Louisville’s board of trustees on Wednesday. In November, Schnatter said on an earnings call that NFL anthem protests were to blame for lackluster quarterly sales at the pizza chain. At the time, Papa John's was the official pizza of the NFL, a relationship that ended in February. Papa John’s first-quarter earnings and sales missed analysts’ expectations. Net income was $16.7 million in the period, down 41% from the year prior. North American same-store sales fell 5.3%, while international same-store sales were down 0.3%. The chain has more than 5,000 locations in the U.S., according to Forbes. Were agencies right to resign the Papa John's account?